Some 18 months after it was first proposed and after a year of uncertainty about its legal structure, the various parties involved in the stillborn Tasmanian National Broadband Network joint venture with Aurora Energy have walked away from the idea. 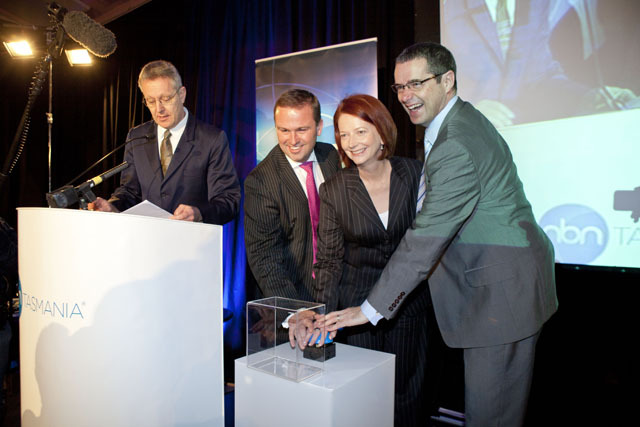 In July 2009 then-Prime Minister Kevin Rudd announced that the National Broadband Network would be rolled out in Tasmania through a joint venture between the Federal NBN Company and state-owned Tasmanian utility Aurora Energy, which has been involved in previous broadband initiatives in the Apple Isle. However, since that time uncertainty has reigned about whether the joint venture arrangement would actually come to pass, with the Tasmanian division of NBN Co operating as a wholly owned subsidiary of the larger national company and Doug Campbell, the chairman of the Tasmanian arm, stating publicly in December 2009 that the joint venture idea had been ditched. “At this point in time, it’s not operating as a joint venture. They’re just acting as our agent,” Campbell said of Aurora Energy at the time. But the issue was still kicking around in October this year, when Communications Minister Stephen Conroy said he was to meet with Tasmanian Premier David Bartlett to discuss the issue. At the time, Liberal Senator Mary Jo Fisher said the joint venture talks were “hastening very slowly”. Today, the office of Communications Minister Stephen Conroy issued a statement on the matter, stating the federal and state governments had decided not to pursue a joint venture arrangement in Tasmania after all. The news appears to have been broken by iTWire. This is just the beginning of the $43 billion financial failure of the NBN. It’s funny to see this sensible decision characterised by some media *COUGH The Australian COUGH* as a failure. The (coalition-preferred!) approach of a joint venture has simply been found to be less satisfactory in this case than a simple subcontracting relationship for Aurora. It has the added benefit of not leading to a situation where Aurora might have become a part-owner of some NBNCo infrastructure. The NBN continues to show that within the detailed roadmap defined by the Implementation Study, there is inherent flexibility to incorporate technical optimisations gleaned from pilots and first release sites, and to work with businesses to deliver mutually beneficial outcomes. Who would seriously prefer to have seen a political face-saving decision to stick with the original JV idea when it had been superseded by a better approach?